Vaccine Awakening: Forced Vaccination Lobbyists v The "Unmovable Group"
Forced Vaccination Lobbyists v The "Unmovable Group"
The families of vaccine injured children and those who know vaccine injured children do not trust the opinions of doctors who take money from drug companies and personally profit from laws which force vaccination, such as rotavirus (diarrhea) vaccine patent holder, Paul Offit. The disdain for individual rights and civil liberties expressed by Offit puts him at odds with America's founding fathers, who understood the importance of protecting minorities from the tyranny of the majority. No other country in the world uses and mandates as many vaccines as the United States because government officials in Canada, western Europe and other free nations respect individual rights and health care choices. Only authoritarian regimes in underdeveloped countries take a totalitarian approach to dissent today, with some imprisoning non-vaccinators or using the militia to force vaccination. Increasing oppression and punishment of families trying to protect their children from vaccine injury and death in the United States would certainly make it easier for patent holders on vaccines to make larger and more predictable profits. It is important for the public, including legislators, to be fully informed about all of the potential motivating factors for the public policies being promoted by individuals with letters after their names. It is also important for the public, including journalists, to independently verify the scientific integrity of studies which are used to justify the erosion of civil and human rights in America. 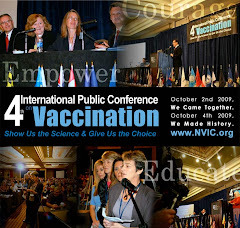 Disclosure: NVIC and its staff have never taken money from vaccine manufacturers. 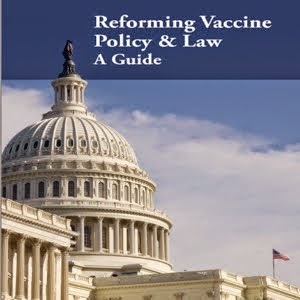 NVIC is a charitable 501(C)3 organization founded by parents of vaccine injured children in 1982 and dedicated to the prevention of vaccine injuries and deaths through public education and protection of the informed consent ethic.